The Nouv-Elle double pendant necklace is the perfect contemporary accessory to add a chic finishing touch to your everyday ensembles. 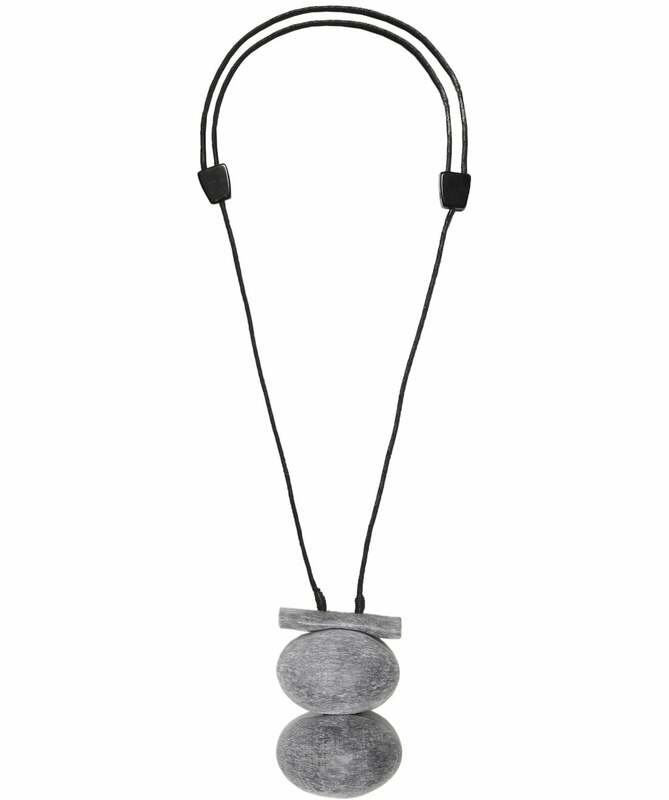 Featuring an adjustable double strand cord and an oversized double bead pendant with a grained finish, this modern piece of jewellery can effortlessly be layered over t-shirts and dresses for a stylish look. All of our jewellery is one size, please check an item's specific measurements. You are entitled to a refund or an exchange if you contact Zen Wardrobe within 14 days of receipt to acknowledge the return.